The cruise was fantastic. The room was comfortable, the crew was amazing, the food was great, the excursions were absolutely phenomenal. We had only been on a river cruise and were concerned that the bigger ship may mean long lines and waiting. We needn&apos;t have worried. No lines and no waiting. 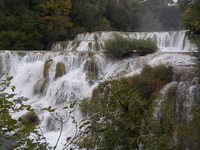 It&apos;s difficult to choose a favorite stop: the many hued houses of Burano; the glass making in Murano; Krka national Park with the beautiful water falls (Do take this excursion. It&apos;s a pleasant foil to the old towns. 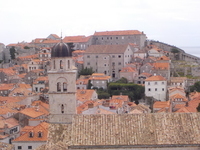 ); the old walled towns in Split, Dubrovnik (wow) and Kotor (what a view up the mountain! ); and classic ancient Olympia and Athens! Make sure to add on the two days in Athens. I don&apos;t know what could have been better. The gentleman who took care of our room and the young lady whose area we sat in for meals were absolutely professional and wonderful.The excursions were well organized and all were very interesting. All the Viking employees are pleasant with a nice greeting every time you passed one in the hall. The entertainment in the central lounge was exceptional. Loved it while enjoying a drink after dinner. Didn&apos;t matter whether it was classical, piano, or jazz. Don&apos;t miss the hot tub after all the walking during the shore excursions. Wonderfully relaxing. 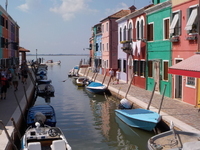 Burano Italy with all its colorful houses. 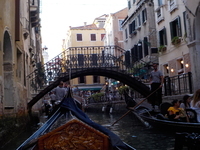 Singing along with the accordions in other gondolas in Venice. The room was comfortable, complete with a balcony, and very well kept and maintained. I loved that some things in the mini fridge are free. Free Wifi was available. Movies and TV were available on the big screen. The morning view over the Adriatic greeted us most days. WOW.